Daily pick of fashionista: Happy 4th of July!!! What are you wearing today? What are you doing on the 4th of July, guys? My friend celebrated at The Boston Esplanade, but I decided to have a BBQ with my bf, dad and sister. Here is an outfit for the Independence day, especially if you are having a BBQ like me. 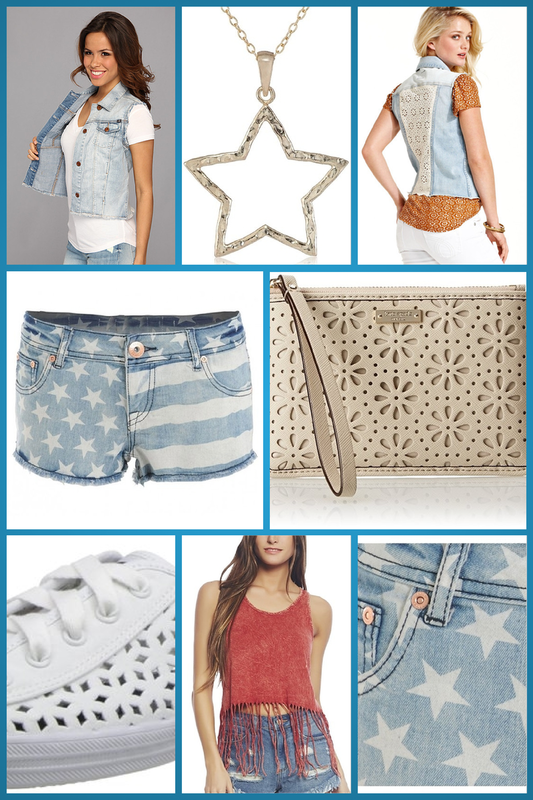 Go for denim, as it is usually blue, which symbolises the blue color of the American flag. The other colors you need are red and white, so perfect the look with white sneakers and a red fringe tank. 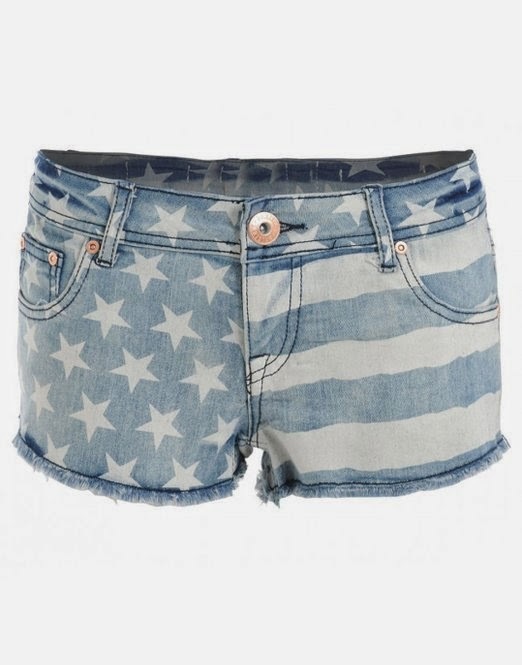 The stars and stripes printed shorts are great to show off your pride. The print on the shorts is faded, so they don't look like a part of a costume and you can continue wearing them after the celebration is over. The vest is 99% Cotton which I associate with good old traditional denim and has buttons styled and coloured as on my old jeans/jackets. The edges of the vest have a really short fringe and look like the sleeves and the lower part of the jacket were ripped off to make it a shorter and sexier summer item. =) The best part of the vest is its back - it has a beautiful eyelet part - it looks like crochet, which is extremely popular this summer. This eyelet part matches the laser cut of the bag and perforated canvas of the sneakers. 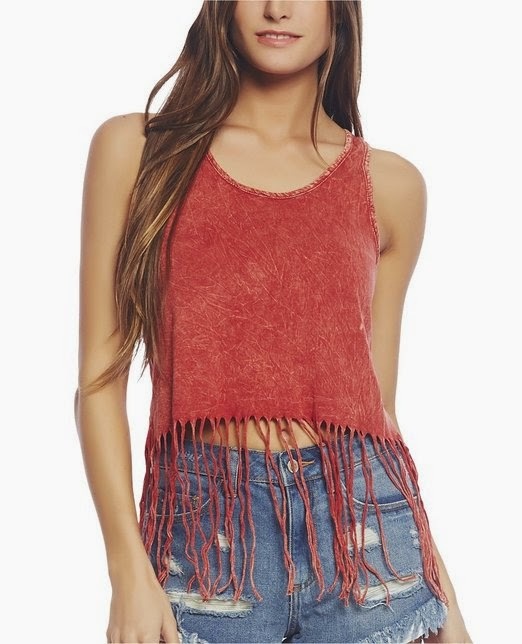 Fringe tank is very playful and adds a bit of country music feel to the outfit. 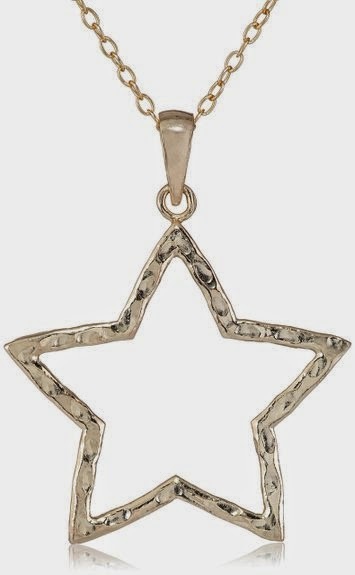 It will look even better if you add a gold tone hammered star pendant, that repeats the form of the star print on the shorts. 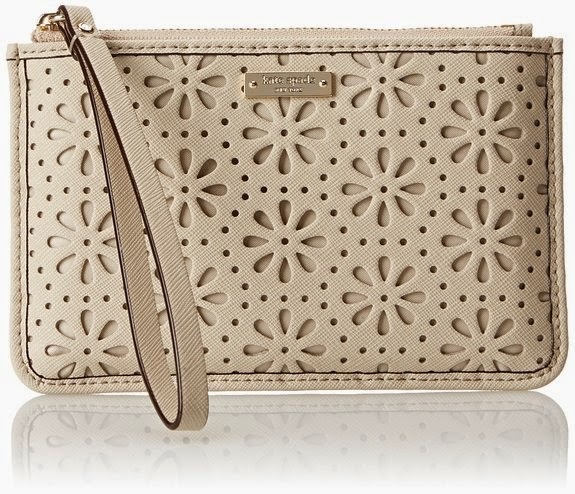 Take an elegant coin bag in Crema De Vie color with you. It is very small and will just fit your iPhone and/or sunglasses, but the laser cut looks adorable, so it is one of my must-haves this summer.